The death of a loved one involves a lot of emotional energy as you sort through the details of their possessions. Often times, this involves real estate holdings, so it’s important to make sense of probate and the escrow process. Essentially, it is the sale of a property where the owner is deceased, and the sale is handled by way of an estate. 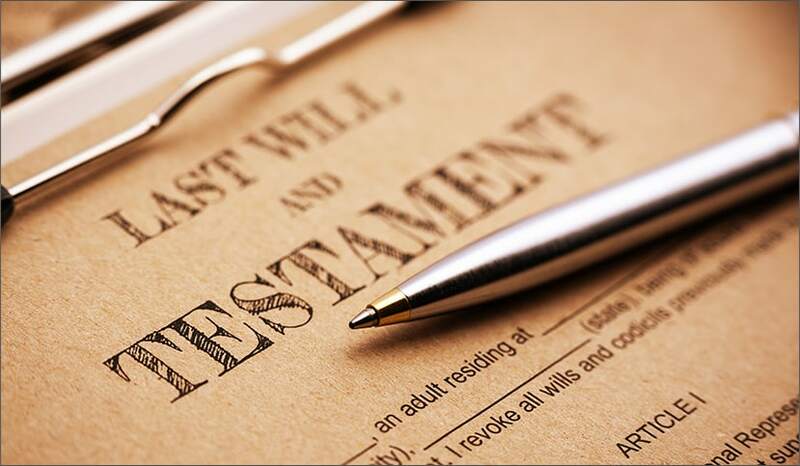 A will plays an integral part of the probate process, and the Administrator or Executor acts on behalf of the deceased with either full or limited authority. A probate sale is not changed dramatically with or without a will; however, the timeline can vary greatly depending on the scenario. Here, we will take a closer look. Escrow officers and buyers alike will attest to the fact that having a will is a far more preferable situation. That’s because a will helps to establish concrete timelines and roles under the Independent Testamentary Act. The court will appoint or designate an Executor or Administrator who has full jurisdiction over the estate, and it is generally a close relative or someone who knew the deceased well along with their wishes. Once appointed, it becomes the onus of the Executor or Administrator to decide the fate of the property. As far as timelines go, the process closely mimics a standard sale. That’s because the Executor or Administrator has full autonomy to help move the sale along. One additional document that is required by title is the “Decree of Distribution of Letters of Testamentary,” and this will be needed in order to close the transaction. Essentially, this official document is issued by the court and helps to ensure the transfer of the property from the Executor or Administrator of the estate to the future buyer(s). Glen Oaks Escrow will also request a copy of this document for review to mitigate any issues downline with the transaction. Although this scenario is more complex, it is hardly uncommon. When the deceased fails to leave a will behind, any property sale is subject to the court probate process. The court will once again designate and approve an Executor or Administrator to the Estate of the Deceased, however, in this situation, they will be an independent court representative. An Order Confirming Sale is another required piece of the process, which states that the court authorizes the sale of the property and the listing price is at fair market value. You will need a certified copy of this document in order to close the transaction. The timeline can vary dramatically in cases where a will is not present. For example, court probate can take anywhere from 60 days to more than six months, which can be challenging from an escrow perspective. Probate sale listings mean that real estate agents need to properly educate their buyers and set-up realistic expectations about how long the process can potentially take. With probate sales, escrow extensions are quite common, and these can sometimes be an obstacle that a buyer is not willing to deal with. Fortunately, an expert escrow officer will be a huge asset during a probate sale. Those who understand how the nuances affect the timeline and transfer of property can help buyers stay on track and successfully close on these kinds of properties. There is a lot of paperwork that comes with a probate sale, so in addition to working with a family attorney or estate planner for specific legal questions, be sure to involve your escrow officer as well should you find yourself in the midst of a probate transaction. For assistance with all of your escrow needs, please feel free to reach out to our dedicated team of experts at American Trust Escrow. We would be happy to help you!